Ice skating has been a winter pastime in New York City since 1858 when the first dedicated rink opened on a lake near 72nd Street in Manhattan. Its popularity has only grown since then. Well, that chill in the air means ice skating season is here, and Aviator Sports and Events Center has just introduced a new unlimited skating pass. So sharpen those blades! The Aviator Skate Pass is $99 plus tax and gets you not only unlimited admission to all skating sessions but skate rentals as well. 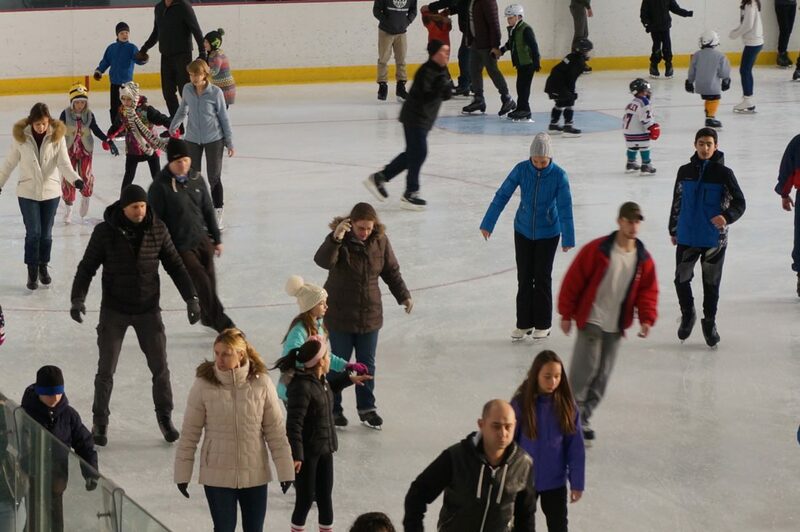 And there’s no shortage of times to skate — in November it would be at least 41 sessions (one session each Sunday to Thursday and two sessions each on Friday and Saturday). Sessions and rentals would normally run you $18 per session for adults and $16 for kids, so that’s a savings after just five visits. They also offer a Family Four Pack, in which you get four passes for the price of three. What about the rink you’ll be using? First things first — change that to “rinks.” Aviator has two NHL-sized indoor ice rinks, so overcrowding shouldn’t be an issue. And the public recently voted them Best Ice Skating Rink as part of the Dime Best of Brooklyn Contest. They also know that skating can build an appetite. That’s why they’ve got The Aviator Eats food court and Aces Sports Lounge, where you can get breakfast, lunch, snacks, dinner, hot chocolate, coffee and more. There are rotating daily lunch specials in addition to “stadium” staples. If you’re looking to get into skating in a more serious way — or you’re just starting out — Aviator has a slew of classes you can join. Along with freestyle sessions and private lessons, they offer classes like Synchronized Skating, Youth & Adult Learn to Skate, and Summer Figure Skating Camp. 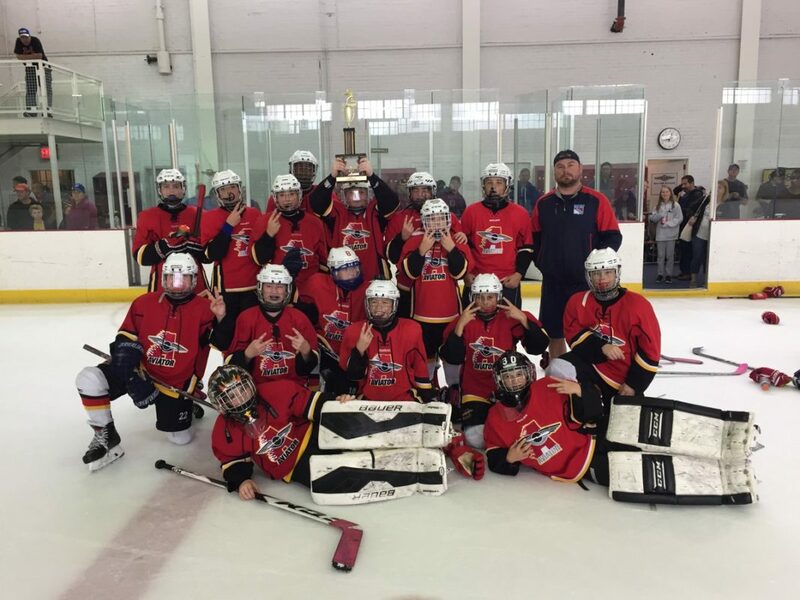 For slapshot fans, there are also ice hockey leagues and classes to check out. Hold on. Rewind. Summer Skating Camp? Yup. The indoor rinks are open 365 days a year, so if you get bitten by the ice skating bug, you’ll be able to scratch that itch all year long. For now, it’s looking pretty cold ahead and maybe you’re searching for something a little less…icy. If that’s you, Aviator’s got plenty of other indoor activities to help you while away those long, dark winter hours. Get an Aviator Day Pass and check out unlimited public ice skating (with skate rental), unlimited rock climbing, unlimited sky jump and 10 arcade credits and one session of Open Volleyball or one session of Open Basketball. 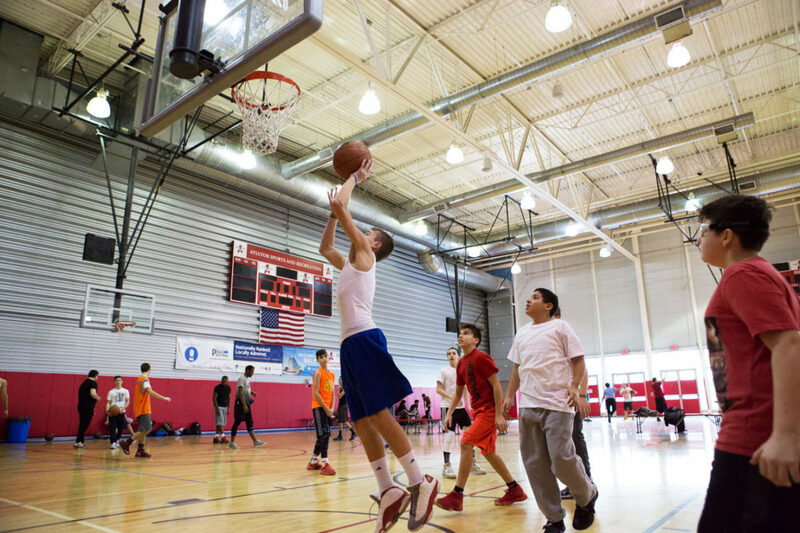 Speaking of basketball, the NBA season is picking up, so Open Basketball is becoming increasingly popular. To accommodate that popularity, Aviator has six hoops and mini pick-up games for you to get in on. No matter what your choice of indoor activity is this fall and winter, Aviator has you covered. Stop in today.